So what we have here are five such cars. The parameters were pretty wide: GT coupe or cabriolet, four seats, visual appeal (at least to me! ), and never officially sold in the United States. What’s more, although some of the examples chosen here are toward the upper-end of the price spectrum for the models, examples of each can be found below US$10,000. Well below in some cases. But onwards and upwards! 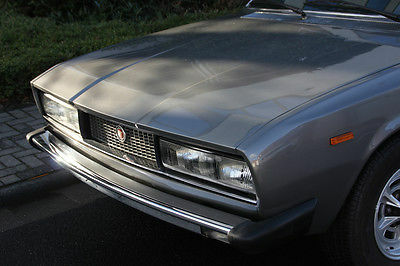 The Pininfarina-designed Fiat 130 Coupe joined the 130 Sedan in Fiat’s lineup in 1971. The very angular styling was well ahead of its time and was Fiat’s first real foray into the personal GT coupe arena. 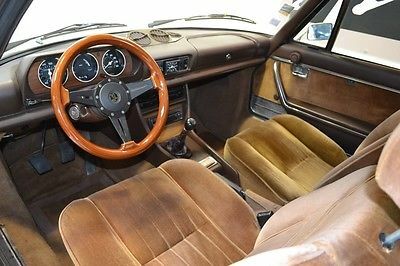 Note the similarities between the 130 coupe and the later Ferrari 365/400/412 coupe among others. The 3235cc V6 is a very competent engine delivering 165bhp through either a 3-speed BW automatic or a 5-speed ZF manual, depending on your preference. At a time when Mercedes’ GT was the W111 that dated back to 1962 the 130 was a breath of fresh air, and remained in production until 1977. We’ve seen a few 130 coupes pop-up for sale from time to time on these shores, but chances are you’ll never see another one. This pristine example is for sale in Elsdorf, Germany for 12.900 Euros. 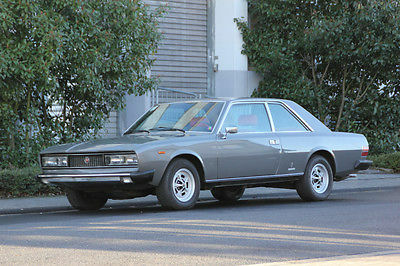 In many ways the 1977-1984 Lancia Gamma Coupe is the successor to the Fiat 130. 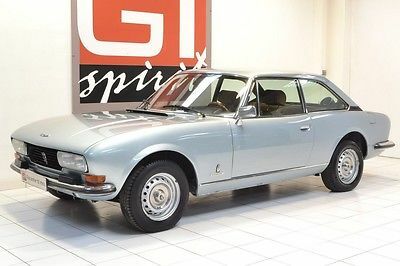 Also styled by Pininfarina, still very boxy, the Gamma is more modern and adopts a period-trendy raked long-front short-rear stance, ostensibly in the name of aerodynamics, but it also looks neat. Contrary to the Fiat’s front-engine/rear-drive layout, the Gamma came front-engine/front-drive with either a 2.0 or 2.5 liter four-cylinder boxer motor. The motors were throaty and peppy, but had a reputation for poor reliability. As an occasional weekend driver, are you gonna let a little thing like that stop you? Among your neighbors, there’s probably someone that will recall Fiats as being rusty little “eye-talian” things that weren’t worth the pavement they were sitting on, but it’ll take a true gearhead to recall the days when Lancias graced our shores. 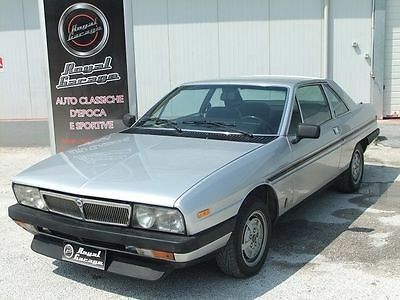 Expect a lot of “what’s a Lancia” kind of questions if you decide to bring home a Gamma. This one is available in Potenza, Italy (of course it is) for just 5.800 Euros. Hey, look! It’s another Pininfarina design! Well, yes it is, albeit much older school. Note the distinct similarity between the Pug and the Fiat 124 Spider designed around the same approximate time. 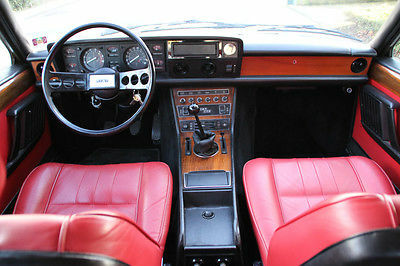 Released in 1969, the 504 Coupe remained in production through three series until 1983. 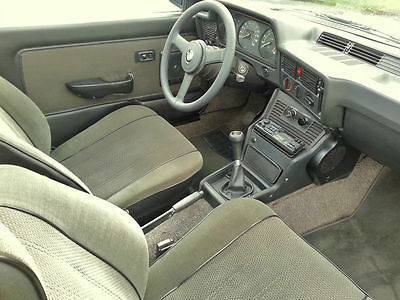 These cars employ a traditional front-engine/rear-drive layout, and were available with a 1.8 liter inline four-cylinder initially and later with a 2.7 liter V6. They also came in a gorgeous convertible version, but prices on those are getting silly, while coupes remain fairly well-grounded. French cars have always enjoyed a reputation in America as “quirky” – heck, Columbo drove one! Personally, I like that. The Peugeot driver is an international man of mystery, with a certain je nais se quoi about him. If nothing else, he appreciates style, even if his style is distinctly not “IN” style. The combination Italian styling and French mechanics in the 504 is a much better idea than cars like the Citroen SM which did things the other way ’round. This little sweetheart is available for sale in La Boisse, France for 9.900 Euros. Don’t look at this as the obligatory Bimmer. In fact, this is a Baur. 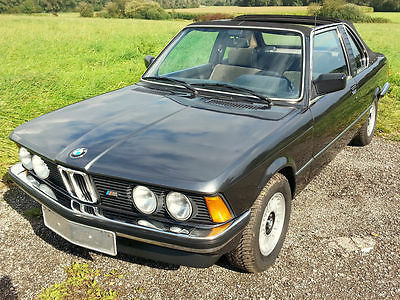 Yes, it’s a BMW, but apart from the grey market we didn’t get this, nor its predecessor based on the 2002, nor its E30 successor. Baurs are cool. We should know – one of us has one. But I digress. While Americans most certainly received the E21 3-Series, we got a wheezy, lethargic, EPA-choked/DOT heavy version light on power and heavy on things like 5mph bumpers and door braces. Sure they handled, but by-and-large they were a huge disappointment to the 2002-loving enthusiasts eagerly awaiting their arrival. In Europe, however, the story was vastly different. Without the regulatory merde to wade through, even the four-cylinder versions had pep. The Baur added some weight, but in exchange had one of the coolest roofs you’ve ever seen. You. Ever. You can buy Baurs in the States, but they are hard to come by and so many have been enhanced – either by the government when they arrived here or by owners who couldn’t just leave well-enough alone. In contrast to the cars we’ve covered heretofore, however, these are familiar not only to us as motoring enthusiasts but also to the mechanics who will invariably be called-upon to wrench on them. Still they never fail to draw a crowd at your local Cars & Coffee, and they’re good fun on the road, like a proper BMW should be. This mint example (complete with AC!) is available in Poing, Germany for 10.900 Euros. And here we have a our bargain-basement award winner for the day: the Mazda 929 Coupe, or Cosmo as it was sold in its home market. More astute readers may recall the Cosmo as that nifty James Bond-esque rotary-powered car from the 1960s. Well this is its spiritual successor. 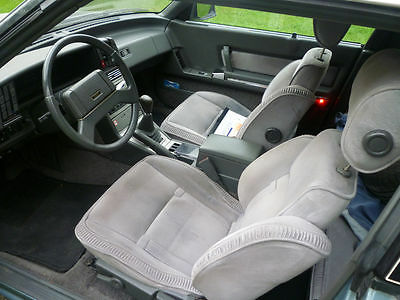 And it is all kinds of 1980s-tech Japanese, from the plasticky interior that you can smell just looking at it to the flush wraparound glass to the – wait for it – pop-up headlights. Yup. If European cars are just too mainstream for you, then here’s some Japan love for you. 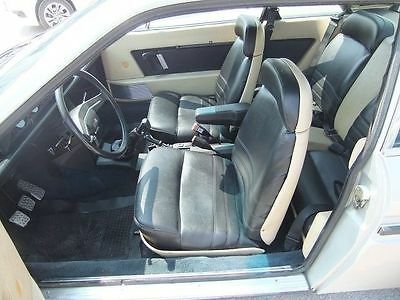 It even has those mid-80s ultra-bolstered seats that look like they’d be awful to sit in but just work.. These cars came in varying spec with either Wankel rotary engines or inline four-cylinders. While the rotary would be my choice and would only serve to add to the car’s quirkiness, some may prefer the familiarity of a good old two liter four banger – the same one that found its way into countless Mazdas of the time. 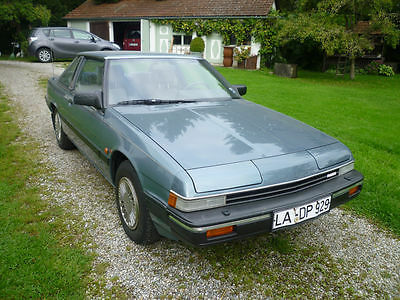 For Japanese cars these were produced for a veritable eternity: from 1981-1989. They are plentiful on the ground and can be found dirt cheap. This nice example – which does run, drive, and is current on its German inspections – is available in Velden, Germany for a paltry 1.500 Euros. You can’t afford NOT to buy this car. So there it is, then. Do your homework on shipping and importation paperwork and fees, make sure whatever you are looking at is at least 25 years old, and start shopping! Life is short. This entry was posted on Wednesday, October 1st, 2014 at 3:43 PM	and tagged with Baur, BMW 320i, BMW E21, Citroen SM, Fiat 130 Coupe, Fiat 130 Sedan, French Cars, German Cars, Italian Cars, Japanese Cars, Lancia Gamma, Maserati, Mazda 929, Peugeot 504, Pininfarina and posted in Commentary, The Kitchen Sink, Totally That Stupid. You can follow any responses to this entry through the RSS 2.0 feed.